House Clearance Inquiry Edinburgh - ☎️ RAPID Response House Clearance & Commercial Rubbish Removal Edinburgh. I Want someone to come and collect our Junk fast ! We live on a top floor in Edinburgh, who can I contact to do this work at a reasonable rate? I Need a local company that will collect some old furniture from my Shop or Office property? Some tenants have left my flat in a terrible condition and we require a full house clearance, who offers the best service ? 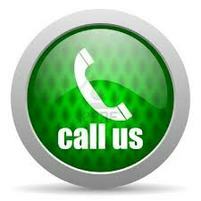 Feel Free To Call Us For A Free, Instant Quotation. with all your disposal requirements. Or Use Form below ! Don't Worry ,Your Well On Your Way To Reclaiming Back Your Lost Space at a great price ! Please Fill Out The Form Below and We Will Contact You ASAP For A Free Quotation. Or Return to our Home Page For More Info. HOUSES CLEARED, OFFICES ETC, RUBBISH, FURNITURE & JUNK TAKEN AND RECYCLED, WASTE DISPOSAL EDINBURGH, FIFE AND SCOTLAND. FREE QUOTES. Have you been tasked with a huge Rubbish clearance Job and you don't know who to ask for assistance or get advise? Then give us a call to discuss your disposal requirements with us, It is fast and easy and our advise and quotations are totally free. We understand your requirements and have years of experience, Rapid Response will carry out any clearance or disposal with respect for you, your property and your circumstances, What ever they may be ! We are well used to getting our hands dirty too if dirty work clearance or verminous disposal is required. as it is quite a common occurrence and completely normal and in line with the hunter gatherer in us all, yes it can get a bit out of hand sometimes and may seem an impossible and daunting task for family members to sort out that scenario with the emotional roller coaster of sorting out effects and filling bags etc, although that's where we come in hopefully as we know the quickest and easiest solutions for any clearance required. metal, office AND SHOP waste, junk,chairs tables GARDEN disposal OFFICE CLEARANCE, HAZARDOUS WASTE Edinburgh, fife, GLASGOW. We arrive on schedule and come fully uniformed and prepared with all the tools required for dismantling beds and heavy duty bags for clothes, rubbish etc and we work fast and guarantee to be professional in our conduct. Following years of our customers telling us how fast and efficient we are at our work, We changed our logo to simply Rapid Response Recycling back in 1997 as the name really suits us and sums up what we are all about in a nutshell ! We now have 5 large removal vans and 17 highly experienced employees at our Edinburgh branch alone, so we can always accommodate your disposal within a day or two if required, we can also come on the same day you call if required also, subject to availability ! OLD FURNITURE DISPOSAL, JUNK REMOVAL, IT EQUIPMENT, GENERAL RUBBISH DISPOSAL, DECEASED HOUSE CLEARANCE, SITE CLEARANCE EDINBURGH, HOUSE CLEARANCE EDINBURGH, OFFICE CLEARANCE EDINBURGH. We carry out all our disposal work with safety in mind, our staff are fully trained and qualified to carry out all kinds of disposals, Rapidly and efficiently guaranteed ! Edinburgh, Scotland,Fife, Dunfermline, West lothian, East Lothian, St Andrews,Glasgow, Aberdeen,The Borders and we would go down south if required. Please Support Us By Liking Us On Facebook, Twitter, Google+ or Youtube ,Thanking you for your support.